I have featured before in my Entertainment blog the before and after plastic surgery picture of Jennifer Garner. 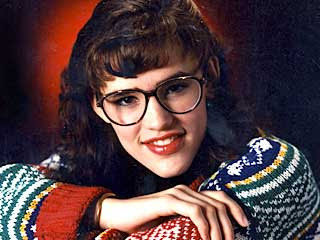 This by the way is the picture of the young Jennifer Garner in her High School Year Book. She honestly looked like "Ugly Betty." I am glad she turned to this beautiful woman with a charming personality and great acting abilities. Jennifer Garner, 36, is famous for her role in the hit TV series, "Alias" as Sydney Bristow. She also has done movies like Daredevil, Elektra, 13 Going On 30 and Juno. And oh, I love Ugly Betty so I love Jennifer Garner! Wow Makoy. You are right! Thanks for sharing. Cheers also to your increasing Google Adsense revenue. Happy holidays! OMG it is so true they look a like!